With the hope that T-Mobile’s upcoming efforts to put the Nexus 4 into all of their retail stores will lead to a boost in availability, plenty of questions are being asked about just how many Nexus 4 units exist. Well, thanks to some sleuthing by some XDA Developer fans, we can gather around 370-400 hundred thousand units exist. Even as Google and LG remain tight-lipped on both sales and inventory numbers, the Android community knows no bounds and has been able to figure out those details. So how did the 400k number come to pass? Let’s start with the IMEI (International Mobile Station Equipment Identity Number) which each cellular phones uses as an individual identification number. With the original XDA thread filling up with Nexus 4 owners running their own devices, the determination has been made that LG manufactured around 70,000 devices in October; 90,000 in November and 210,000 in December. Google of course declined to comment on any numbers. With Google indirectly pointing fingers at LG for inventory troubles, it seems that both companies were conservative with their launch needs. Google’s UK managing director Dan Cobley even took to Google+ to apologize for the lack of communication between both companies. Hopefully T-Mobile’s efforts to put the Nexus into every retail store will lead to a larger inventory supply and allow everyone who wants this Android bad-boy to get their hands on one. Sowee, posting under two user names isn’t allowed. Bye bye! So what is your opinion on these numbers David? Good ? Bad? That’s not that many considering the fiasco right? I think they would be selling more if they had more. Someone really underestimated demand here and I can understand if they did that if the phone was only available through Google Play, but when its available on a contract it appears to a much larger audience. Someone goofed, I think the numbers are low for an entire quarter given how high profile the launch was. I don’t think the numbers were low because of demand though, just supply. I agree with this. I kept trying to buy one from the Play store, but couldn’t. So I just went and got myself a Note 2 instead (and rooted it, of course). Could I have waited 2 more months to get a Nexus 4? Sure, but I didn’t want to. I wonder if T-Mobile contracted with LG directly for more units at a higher price than Google to maybe accelerate things a little. I agree, I ditch the Nexus line (coming from Nexus One) and got the Galaxy Note for an upgrade and I must say, I miss that being the first to get the update. Plus I now feel, abandoned after not getting any sort of fix from a broken features on this piece of crap touch wiz. S-Planner Task not syncing with Google Task, outgoing numbers logs when using Google Voice is a mess and now, this Note is a turtle. Still won’t work for me. Makes me feel dumb..
i don’t ever think we’ll see a Nexus device sell the way a Galaxy S device does .. they won’t get into the millions .. as crazy as it sounds, some people prefer the skinning of Android .. it has its benefits i admit. and they often have more features on top of vanilla Android. Anyone still concerned with images not showing the sparkle back, even if people are saying its just a rumor? I know the only way we’ll know for sure is if the new batch comes out. Sparkle back? If you consider that sparkle I can only imagine what you think about actual glitter. Blinding? I think the new found popularity of Nexus devices with the general public (the original WAS badass, I must admit) is due to a two fold issue… more technically inept people (I say this because rooting is so simple) realize that cell carriers delay Android updates and are swaying towards Nexus models. Secondly, so many bloggers are finally making a decent sized fuss about the Nexus (albiet for the wrong reasons) and the lemmings have to have it. If you’re waiting on this model, might as well get the Note 2 and root the damn thing. You might actually learn something! Except many of us don’t want a BIG@SS phone with horrible pixel density compared to the N4/GNexus and flugly design. “720 HD” is a measure of resolution, not pixel density. Pixel density is essentially DPI for screens. It refers to the number of pixels *per square inch*, not the total number in the display. The Nexus 4 has approximately 320 PPI (pixels per inch), compared to 267 for the Galaxy Note II. Both “phones” have the same screen resolution (1280 x 768) but because the physical size of the Nexus’s screen is smaller, it’s packing more pixels into a smaller space, hence a higher pixel density. But you don’t seem terribly concerned with things like facts. Nice phone, but I’ll be glad when they release details about the upcoming iPhone on T-Mobile. Wow. That’s really small. I’m actually shocked. If this is true they haven’t even shifted half a million devices. If the supply troubles really were due to unexpected demand, I wonder how little all the other Nexus devices have sold. 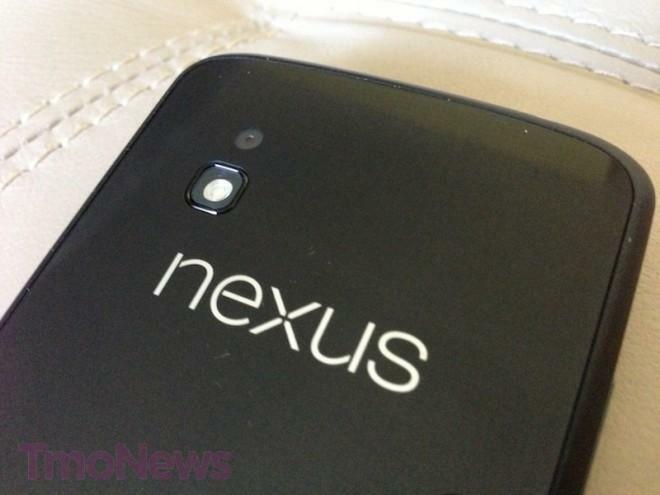 None of the Nexus phones have sold particularly well. With all the hoopla and apologies at google+ I would have thought google would have moved a lot more units than 370K. I actually hope this sells much better, since the more people that get to experience true android devoid of skins with a realistic update process, the better. Dude, the 370,000 were sold over roughly 3 hours of availability- total. That’s pretty amazing. Imagine what the sales would have been if the phone had good supplies. I understand what you mean, but at the same time, the sales of previous nexus devices were poor; no where near any flagship phone skinned up with touchwiz or sense. Time will tell if sales are good for the nexus 4, and I really hope they are. I imagine that google underestimated demand based on previous nexus sales and that is probably why they didn’t make enough. I think that a lack of actual LTE usability may have hurt the Nexus 4 sales with AT&T customers. I’ve chatted with some of the customers on the AT&T forums who wanted the pure Android experience, but didn’t want to give up using LTE. They got Galaxy devices instead and rooted them. Uh, no. This is an international phone and folks overseas couldn’t give a crap about LTE. Also, the Nexus 4 in my hometown of Denver averages at 12mbps, which being 6 times faster than what people were getting on 3g, is plenty fast. If you read my comment, you would see that I’m addressing AT&T’s customers’ opinions, which by definition are not people overseas. Many AT&T LTE customers get 20-30 Mbps down, which is significantly faster than the 14.4 Mbps HSPA+ network that AT&T has. I hope that the supply chain bumps it up a little bit. Rumor is that the new Ubuntu Phone software will have a port that will work on the Nexus 4 hardware, and I’d love to try it out as well as “pure” Android… it’s fun to have a device to just play with and the cost of the nexus 4 makes that a lot easier.